Diane Ferlatte has wowed audiences across the globe from Austria, to Auckland. 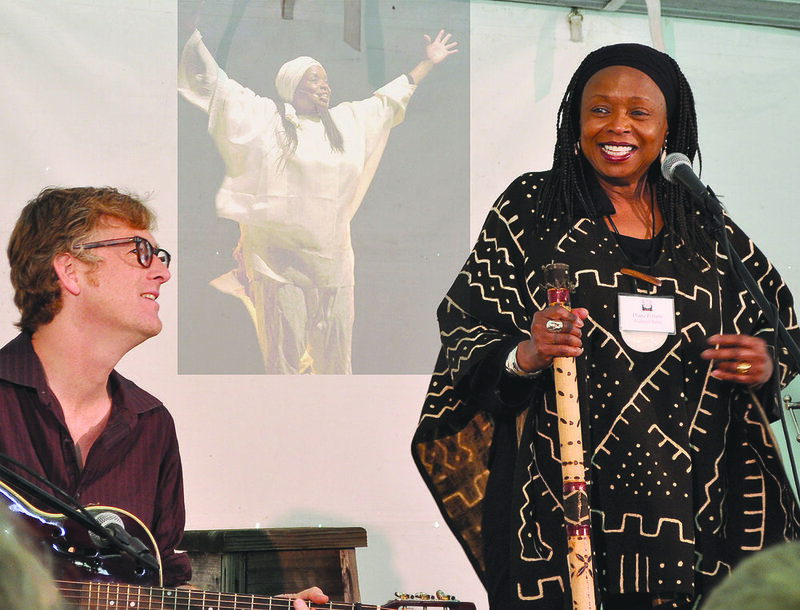 Steeped in oral traditions and rich with cultural content, Diane Ferlatte’s programs are vibrant, engaging, and resonant. Diane Ferlatte is always joined by Erik Pearson on Banjo. In this story within a story, Diane weaves five of Aesop’s fables emphasizing creativity, perseverance, honesty, and the difference between need, want, and greed. Drawing on stories and songs from many cultures, as well as African American history, folktales, and even personal stories, this program emphasizes principles, character, and values. From “Jim Crow” to “This Land is Our Land,” this program honors Dr. Martin Luther King, Jr. and his legacy with stories and songs from the Civil Rights struggle and Dr. King’s personal reflections. This Grammy nominated, award-winning program brings to life tales of a little rabbit that outsmarts bigger and stronger animals. These tales gave slaves in the South hope and provided humor in the face of adversity. This program emphasizes not on Black History, but Blacks in American History, and provides an excellent tie-in to an American history curriculum. Stories from Africa that have lessons for today.